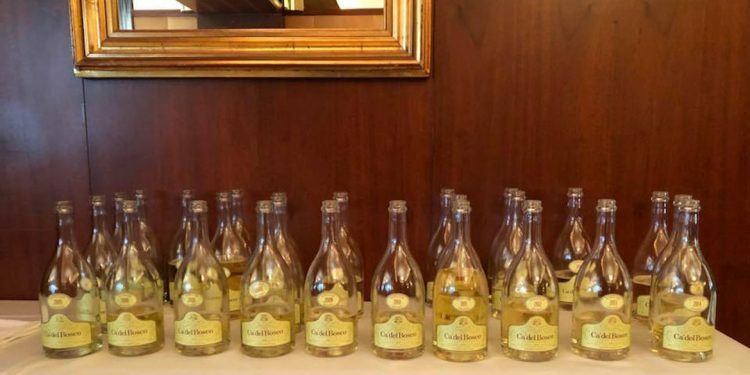 The Franciacorta winery Ca’ del Bosco doesn’t mess about: when it’s time to celebrate, they celebrate. This time it’s the turn of their flagship wine, Cuvée Prestige, the exemplary wine from the prestigious Franciacorta area as the name suggests. The number of bottles produced is impressive and, to give credit where it is due, they haven’t concealed it like a Vatican secret, as often happens on the other side of the Alps: about a million bottles. Hats off to them. There is no lack of events to celebrate its tenth anniversary, such as the creation of ten polychrome terracotta sculptures (to go under the hammer at Sotheby’s, with the proceeds donated to Dynamo Camp Art Factory) and a limited edition of a special cuvée made from base wines using equal amounts of the 2015, 2014 and 2013 vintages (50 thousand bottles). 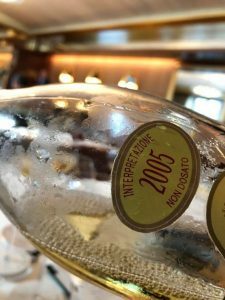 The complete vertical tasting of the ten vintages is very interesting and shows the Cuvée Prestige’s coherent style and excellent cellar lifespan. Some might object, and with good reason: Cuvée Prestige is not a vintage wine. So? Every release is an interpretation of the predominant vintage. The latest one, for example, is made up of 77% of the 2014, 15% of the 2013 and 8% of the 2012. All the blends are specified in the tasting notes (read it). The wines are all disgorged at the moment, “à la volé”: meaning that the bottles still on the fine lees were opened in front of our eyes. This means that the 2001 rested on the lees for 11 years!